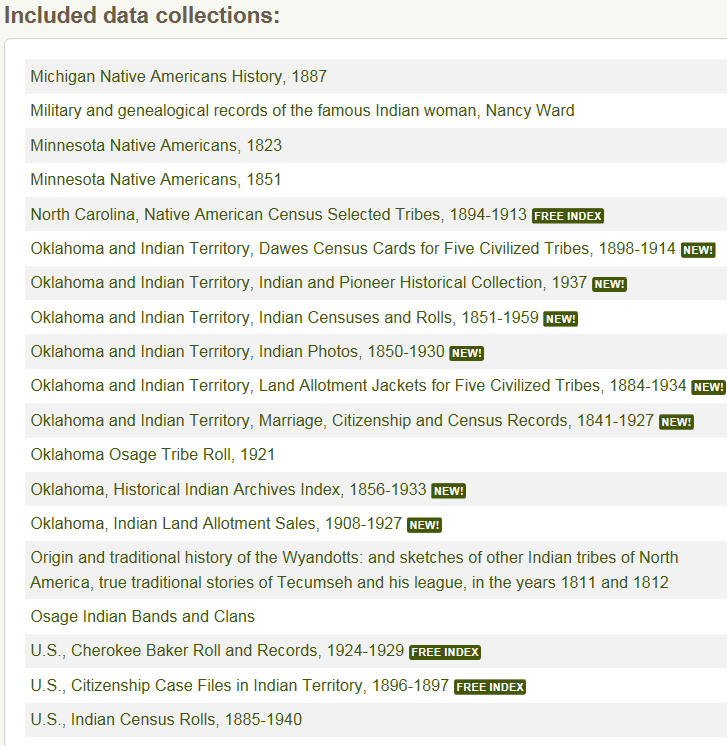 Recently Ancestry.com added several sets of American Indian records to their collection, and some are free. 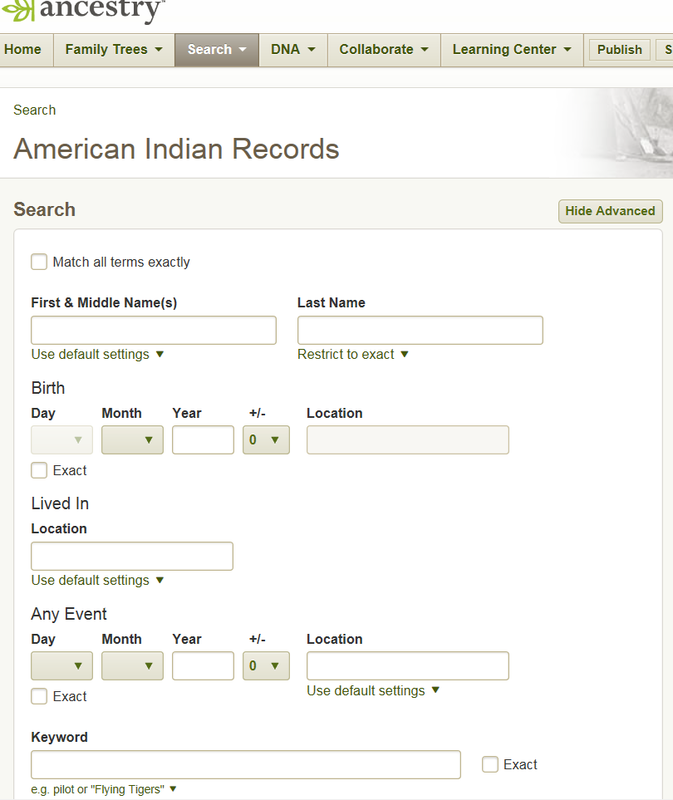 This link should take you directly to the American Indian Collection search function at Ancestry. This entry was posted in Cherokee, Chickasaw, Choctaw, Creek, Five Civilized Tribes, Freedmen, Michigan, Minnesota, North Carolina, Oklahoma, Osage, Research, Resources, Seminole. Bookmark the permalink. robertajestes posted: “Recently Ancestry.com added several sets of American Indian records to their collection, and some are free. My ancestry is of Chitimacha located in Charenton Lousiana however, I am denied that ethnicity. My Indian ethnicity is from Chief Benjamin Paul. I need assistance in being acknowledge that ethnicity. I am looking for the family tree of Chief Benjamin Paul. Do you happen to have any of this? I too have Pauls and Pellerins in my family. Specifically a Catherine Paul and Mary Theresa Pellerin.